Qualcomm has officially announced the commercial shipment of their Centriq 2400 processor family. The processors are built with Samsung’s 10 nanometer FinFET process with 18 billion transistors on a 398mm2 surface area. It contains up to 48 high-performance, 64-bit, single-thread cores, running at up to 2.6 GHz frequency. At a press conference held today in San Jose, Calif., Qualcomm Datacenter Technologies, Inc., a subsidiary of Qualcomm Incorporated, officially announced commercial shipment of the world’s first and only 10 nanometer server processor series: the Qualcomm Centriq 2400 processor family. The Qualcomm Centriq 2400 processor family is the first high-performance Arm-based processor series designed to offer groundbreaking throughput performance for cloud workloads running in today’s datacenters. Purpose built for cloud, the Qualcomm Centriq 2400 server processor family delivers exceptional performance-per-watt and performance-per dollar. The Qualcomm Centriq 2400 processor family is a single chip platform-level solution built using Samsung’s 10 nanometer FinFET process with 18 billion transistors on only 398mm2. It contains up to 48 high-performance, 64-bit, single-thread cores, running at up to 2.6 GHz frequency. The cores are connected with a bi-directional segmented ring bus with 250GBps of aggregate bandwidth to avoid performance bottlenecks under full load. To maximize performance under various use cases, the design has 512KB of shared L2 cache for every two cores, and 60MB of unified L3 cache distributed on the die. It has 6 channels of DDR4 memory and can support up to 768 GB of total DRAM capacity with 32 PCIe Gen3 lanes and 6 PCIe controllers. The Qualcomm Centriq 2400 processor family also supports Arm’s TrustZone secure operating environment, and supports hypervisors for virtualization. The Qualcomm Centriq 2400 is able to achieve exceptional performance, while consuming less than 120 watts. With a list price of $1,995, the 48 core Qualcomm Centriq 2460 processor offers greater than 4X better performance per dollar and up to 45% better performance per watt versus Intel’s highest-performance Skylake processor, the Intel Xeon Platinum 8180 . 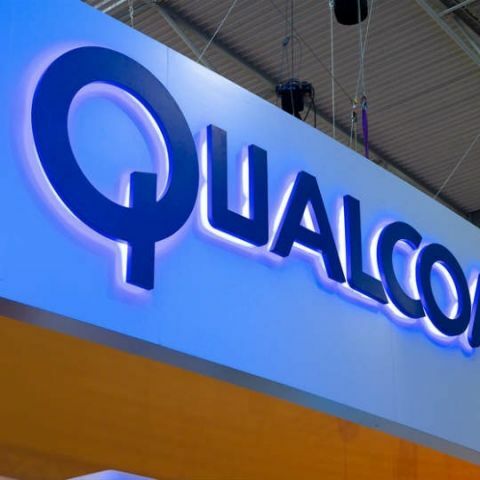 A number of cloud service providers and technology companies participated in the launch event and demonstrated applications of an Arm-based datacenter running on the Qualcomm Centriq 2400 series. These included Alibaba, LinkedIn, Cloudflare, American Megatrends Inc., Arm, Cadence Design Systems, Canonical, Chelsio Communications, Excelero, Hewlett Packard Enterprise, Illumina, MariaDB, Mellanox, Microsoft Azure, MongoDB, Netronome, Packet, Red Hat, ScyllaDB, 6WIND, Samsung, Solarflare, Smartcore, SUSE, Uber, and Xilinx. “Samsung and Qualcomm Datacenter Technologies have expanded a decade-long strategic foundry collaboration to manufacture the Qualcomm Centriq 2400, the world's first server processor built on industry's first 10-nanometer (nm) FinFET process technology,” said ES Jung, general manager, Samsung Foundry. “Samsung's 10-nm process technology with specific optimizations for high performance, combined with Qualcomm Datacanter Technologies’ leading-edge custom SoC design, allow us to deliver a world-class server processor that will disrupt the datacenter market."